Summer Reading is in full swing! The Youth Services staff is so excited to see all the readers signing up for the reading program. We truly have something for everyone. In addition to the reading program, we also have several events that patrons can attend at the library from weekly storytimes, school age programs, teen programs, and our big performers. We also have a weekly scavenger hunt that is celebrating its fifth year this summer! In 2013, Miss Hannah had a wild idea to do away with the weekly goody bag prizes and pool that money for one BIG prize. She sat down and brainstormed different ideas that would still encourage weekly visits to the library. Digging for Treasure was born! It was wildly successful. Kids had a blast finding little Gnomington the Gnome all over the library. Miss Hannah lost count of the number of entry forms she copied, but it was well into the 1000s. One lucky family took home a WiiU. In 2014, Derby kids hunted for Adam the Atom. In 2015, they searched for Read the SuperOwl. And last year they searched for ninjas colored by the rainbow. Three more WiiUs found happy homes with their new families. This year, there’s puzzle pieces hiding. The Youth Services staff is asking kids to “Build a Better World” and find all 8 missing puzzle pieces. One lucky kiddo and family will go home with a new Nintendo Switch! Miss Hannah is a nostalgic librarian and keeps all past years’ scavenger hunt subjects on her desk. She looks forward to many future years of summer reading library scavenger hunts. What will hide next year? First Line: It took seven years to get the letter right. Summary: Scarlett is a young woman who lives on an island with her sister and cruel father. She is engaged to be married to a man she has never met but has high hopes of him taking her away from her father and the life she has known. 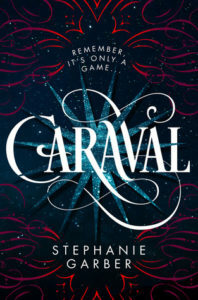 But she has dreams of visiting Caraval, the mysterious carnival/game that is filled with magic and wonder. Her grandmother raised her on stories of Grand Master Legend and his amazing magical world. When she suddenly receives an invitation for her, her sister and her fiancé, she is thrust into a game she does not know how to win. Her father forbids her to leave but when her sister goes missing she has to believe that she has left for Caraval and it is up to Scarlett and the arrogant seaman, Julian to find Tella and bring her back before her father discovers them missing. Highlights: The world of Caraval is beautiful. The descriptions of the island and its inhabitants are as detailed as a painting. I wanted to live in this world apart from the terrors and trials that Scarlett had to endure. I love how strong and passionate Scarlett was about finding her sister. It is great to see relationships like that with strong female characters. And the twist at the end was fulfilling for the whole story. Lowlights: Some pieces of the story were a little predictable. I was able to guess things before they happened but other pieces I thought I had figured out and was not even close. FYI: I listened to this on audio while taking the long drive to Colorado and really enjoyed it. It made the dreariness of I-70 fly by. First Line: I have a snapshot of me standing on Finn’s shoulders when I was twenty-nine, a trick we’d perfected. Summary: A vacation to Italy sounds like a great idea until you take one with another couple. Lizzie and Michael along with Finn and Taylor plus their daughter, Snow, decide to take a summer vacation. Tensions are high between the couples who each have secrets. 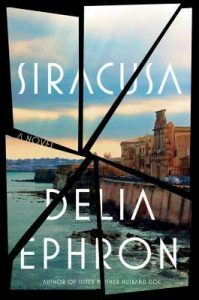 As time together puts more and more tension on the group the secrets start to reveal themselves but the biggest shock comes when they start their stay on the small island of Siracusa. Highlights: The beachy but twisted read makes the book worthwhile. The characters all have issues and you get to see each person’s point of view throughout their trip. It gives more perspective and doesn’t leave you wondering what someone was thinking. Lowlights: I almost stopped reading this in the first 30 pages. The sentences are very choppy and to the point. There are 4 different character viewpoints. This makes it very hard at the beginning when you are still trying to learn character names and keep them straight. Once you are in the story I was waiting to get to certain characters so that I knew what was happening or how they were feeling. FYI: A little dark at the end but worth the read. I don’t know how you feel about summer, but my daughters and I start counting down the days shortly after Christmas. There are so many things to look forward to! Not having to hit the ground running every morning as soon as the alarm goes off. The almost transformative way laying in the sunshine by the pool makes you feel like a new person. The excitement of planning a summer vacation (with or without family). Most of all, at least for me, it’s the idea of making great memories that will keep us remembering the warmth even through the dead of winter. I’ve found that when I’ve gone overboard to create the “perfect” summertime memory, those are never really the ones we remember. I’m usually stressed from trying too hard and it never lives up to the idea I had in my head. No, the times we end up talking about well into the next summer are the little things that don’t require much effort at all. Playing games outside and then staying out until dark eating dinner and watching them catch fireflies. 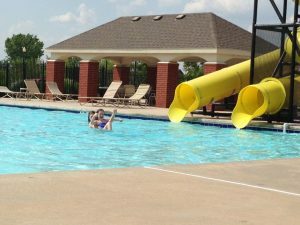 Allowing them to have cheesy tots and pop at the pool. Letting them play outside in a summer rainstorm. Going to Riverside Park with a picnic they choose themselves and telling them about when we were actually allowed to go down the rocket ship slide. Going to the park is still as cool to my girls as it was to me when I was young and in this day and age I think that’s really saying something. It must be the same for a lot of kids and their families because every time I drive by Madison Avenue Central Park here in Derby it is always buzzing with activity. 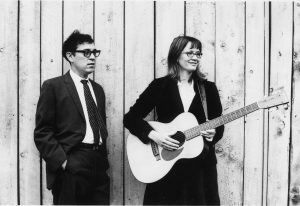 So in honor of “Creating Great Summer Memories” the Derby Public Library is hosting a free outdoor concert at the Madison Avenue Central Park on Monday, June 12 at 7:00 p.m., featuring the group Hungrytown. Worried about dinner? The food truck B.S. Sandwich Press will be in the parking lot serving up some delicious treats! We will also be collecting non-perishable food items to donate to the Derby Community Food Pantry. If you are a parent, you may be familiar with summer reading programs for kids. You know, you come into the library, sign your child(ren) up, and then spend the summer convincing them to spend time with books to log all their minutes reading or being read to, and hope that the weather in the last couple weeks before school starts is nice enough to use your free passes to the water park. It’s fun. No, really, it is! But admittedly, it can be a little bit exhausting. Even if you don’t have children, you may think that summer reading programs are only for kids. And our summer reading program for kids is super awesome, but it’s not the only summer reading program we have. We have a summer reading program for you! Yes, every single person who loves to read and is 18 or older can enroll in our adult summer reading program. 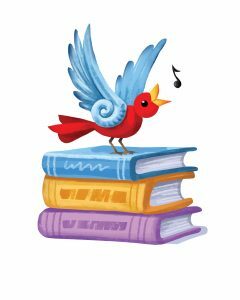 Registration for the adult summer reading program opens at 9 a.m., Tuesday, May 30. You can register and track your books online or you can come in to the library and pick up a paper log. All books must be logged by 5 p.m. July 23. Oh, and let’s talk about the prizes! We love to give away prizes! Each week, anyone who has read at least 4 books will be entered in a drawing for a library tote loaded with books and swag. Tuesday, July 25, we’ll draw three names to win grand prizes — a Kindle Fire HD and $50 Amazon gift card — from all participants who have logged at least four books . All prize winners will be drawn at random. 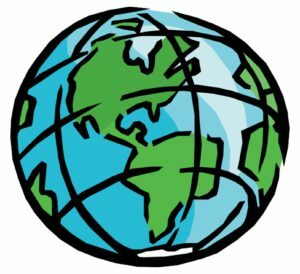 The theme for all our summer reading programs is the same this year: Build a Better World. So help us build a better world this summer by participating in our adult summer reading program. And tell us in the comments below how reading helps build a better world for you! Author Cori DoddsPosted on May 22, 2017 May 11, 2017 Categories Upcoming EventsTags adult fiction, dystopian, fantasy, fiction, great cover, historical fiction, history, new books, non-fiction, science fiction, summer reading, upcoming event, Victorian England, young adult, young adult fictionLeave a comment on Summer reading for grown-ups! 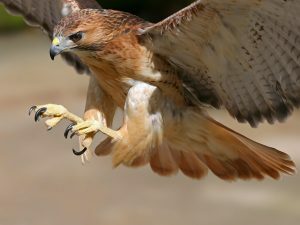 Summary: Hawksong tells the story of the ancient world of shapeshifters and the bloody war between the avians and the serpiente. Danica Shardae, the young princess to the throne of the avian shapeshifters, has had enough of the fighting. After losing nearly her entire family in war, Danica decides to make a sacrifice for the good of her people and the good of the world; she agrees to marry the prince of serpents, Zane Cobriana. Though both she and Zane believe their union will bring peace, not everyone agrees with their decision and soon Danica learns that she can’t trust anyone as both her people and her heart are put at the greatest risk. Highlights: Atwater-Rhodes has created a unique world and a deep mythology for her readers to enjoy. This novel is excellent for anyone with a taste for science fiction, fantasy, ancient worlds, adventure, and political intrigue. The story also provides an endearing love story that doesn’t come off as forced or insincere. Readers will find themselves invested in Danica and rooting for her throughout the story. As betrayal and heartbreak come to her, the reader is caught up in ho w Danica will free herself from this war and from the enemies around her. Hawksong is visually stunning. Atwater-Rhodes has created such incredible landscapes and backdrops for these characters, and it feels almost cinematic in its description. Lowlights: The most difficult aspect of the book is the unique language that Atwater-Rhodes designed for her world. The book doesn’t have a dictionary or pronunciation key in the back (nor really any references online) so it makes it frustrating for readers to understand certain made-up words that the author has put in the story. The book is also fairly short. Written in a time when young adult novels were almost always less than 300 pages, the novel tends to move very quickly, passing through sections that really deserve more attention. FYI: This book is the first in the Kiesha’ra series which contains five books in total. The second book continues the story of Danica and Zane and the other three present new characters. 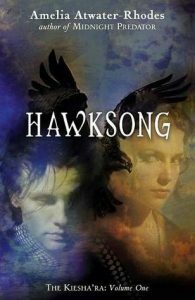 The author of Hawksong is also widely known as a prodigy, having published her first novel at thirteen. If you enjoy this book, we have many of her other books available in the young adult section of the library. I have loved history since my 8th grade year when I had a teacher that made it fun and interesting. She was always excited about what she was teaching and it made me want to know more. I started reading about 90% historical fiction after this point. I had to learn about places and people while I was enjoying the story. During my freshman year of college, as a history major, I finally bought a copy of a book I had had my eye on for several years. The book was The Other Boleyn Girl by Philippa Gregory. I was enthralled! Gregory’s writing was stunning and the characters were brought to life before my eyes. It centers around the younger sister of Anne Boleyn, Mary, who becomes the mistress of Henry VIII. Even though the story is centered around Mary it was Anne who fascinated me. 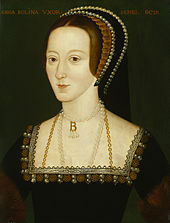 Anne Boleyn was the infamous second wife of Henry VIII and mother of Elizabeth I. She has been described in many ways from temptress, witch, whore, martyr and pawn. Her beliefs and stubbornness to stand up for them made her the target for many. Changes came to England during the years of her courtship and marriage to Henry that reshaped the world. 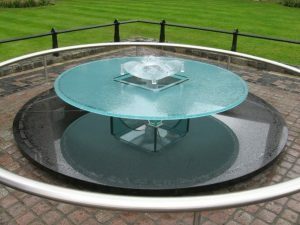 She was executed in the Tower of London on May 19, 1536 on the charges of treason, witchcraft and adultery. There are differing opinions about this woman who is still very unknown to historians even today. Little is known but many books have been written about her. One of the latest is by Alison Weir as part of her Six Tudor Queens series. As soon as I could get my hands on this book I was ready to read it! First Line: Her skin was rather sallow, Anne thought as she studied herself in the silver mirror, and she had too many moles, but at least her face was a fashionable oval. Summary: Anne Boleyn, the second wife of Henry VIII, spent her early years in the courts of Burgundy and France. She learned from duchesses and queens on how to be a lady but it is a king that truly changes her life. When the King Henry VIII notices her and wants her to be his mistress Anne decides that she is not going to be used like other women of her time. She tries to discourage the king but to no avail. But when Henry proposes marriage to her, even though he is already married, she sets her sights on the ultimate power. After years of legal and religious battles she finally is crowned queen but it turns out to not be all that was promised. Highlights: The descriptions are very detailed. I could feel the frustration with the Great Matter as much as Anne and Henry. Anne is a smart and passionate woman who knows what she wants and is willing to do whatever she can to achieve it. There is so much in this novel about a woman that very little is known. The author takes you all the way back to Anne’s childhood which most books do not do. Lowlights: I have read many books about Anne Boleyn. And a book that is written by a historian like Alison Weir, I was expecting more. There were things that I did not agree with in her descriptions of Anne such as the sixth finger. Plus she makes Anne seem more like a child at times when she was a powerful woman with strong beliefs. FYI: Some of this is written for a more dramatic and fictional account than most historians have been able to back up. Great for a fun and interesting book about the life of Anne Boleyn, the unfortunate second wife of Henry VIII. 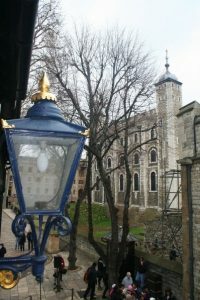 If you are ever lucky enough to visit the Tower of London, visit her grave in the chapel and the memorial to Anne Boleyn (and many others who lost their lives inside this fortress). It has been 481 years since that fateful day on Tower Green and people still remember this fascinating woman. First Line: I didn’t set out to lose myself. is allowed to do with her day. 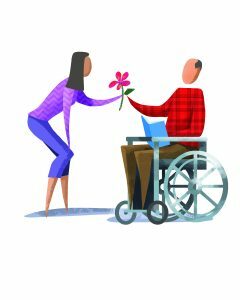 She loves to paint but he has made it clear that he does not think that this is something she should be spending her time doing. When she goes home to visit her mother she finds her grandmother’s journals in a trunk in the attic. Through the writings of a woman she barely knew she finds out more about herself and what she wants from life. Margie is a young woman in 1924. She was a debutante but remains unmarried making her practically an old maid. When the chance to chaperone her younger cousin around Europe is presented she jumps at the chance to see the world before she settles into marriage with one of her father’s business partners. But the trip doesn’t turn out as planned. 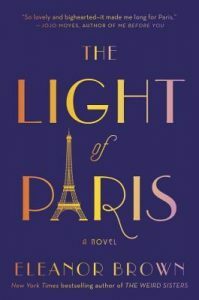 Her cousin ditches her in Paris leaving Margie with the question of what to do alone in Europe. Rather than take her parents advice and return home she decides that Paris has more to offer her, even if it’s only for a little while. Highlights: Paris! 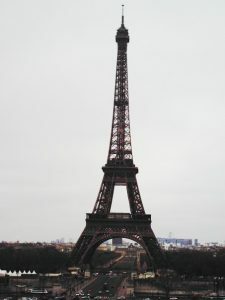 It has been 11 years since I visited the City of Lights but I want to go again. This book took me back to the 4 days I got to spend there in college. The monuments, cathedrals and the food were magical! I envy Margie the chance to live in this beautiful city. I liked the flashbacks. It made the story richer as you found out more about each woman. I was able to connect with them and became invested in each of their lives. Lowlights: Most of the story was very predictable. I knew what was going to happen in most of the book but that is not always a bad thing. It felt like a safe and comfortable read. FYI: You will want to visit (or live) in Paris after this! It’s nearly summer and that (hopefully) means more reading time, right? What kinds of books do you like to read in summer? Are you a person who loves those easy “beach reads”? Or is summer your opportunity to get your teeth into something meaty while lounging in the backyard or by the pool? Share some of your favorite summertime reads in the comments! Meanwhile, here are some brand-new books to look forward to, that will be out in the latter half of this month. Click on any of the titles to be taken to the catalog where you can see if the book is on the shelf or you can put it on hold. 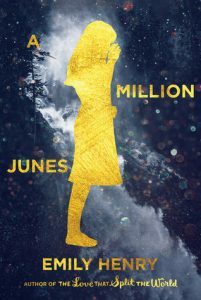 “A Million Junes” by Emily Henry is scheduled to be released May 16. Reading the summary of this book on Goodreads, I see the link to Romeo & Juliet, but I also see some Hatfields and McCoys here. The setting is Five Fingers, Michigan, and the century-old feud between the Angerts and the O’Donnells is as strong as ever. Jack “June” O’Donnell, 18, like the O’Donnells before her has nothing to do with any of the Angert family — until Saul Angert, son of June’s mortal enemy, returns to town after three years away. Suddenly, June finds she doesn’t hate Saul. The chain reaction sparked by Saul’s arrival threatens to reveal truths that have been hidden about the families’ feud for 100 years. Are you looking for a good beach read for your Memorial Day weekend? This book from the author dubbed the queen of beach reads might be a great choice. Darcy Cotterill lives on Nantucket and is surprised when she finds out that her ex-husband is living next door with his wife and step-daughter for the summer. In addition, she’s trying to navigate the ups and downs of her own romantic relationship with a local carpenter. Perfect for fans of Philippa Gregory, this novel tells the story of the second of Henry’s six wives. Anne is young and at the English court fresh from France. You know how she died. Now read how she lived. 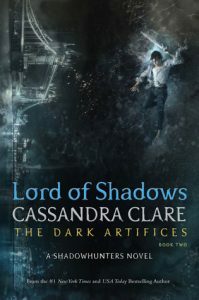 The sequel to “Lady Midnight” by Cassandra Clare, “Lord of Shadows” continues the story of Emma, Julian and Mark. Shadowhunter Emma Carstairs is fighting her feelings for her parabatai, Julian, and begins dating his brother Mark. Mark has just returned from spending five years trapped in Faerie and no one is sure whether he will ever be able to be a shadowhunter again. Emma, Julian and Mark are caught between the unsettled Faerie courts and the Clave. Do you have a hard time finding books that aren’t part of a series? I do. Here’s a standalone psychological thriller about a “trial-of-the-century” in 1950’s Glasgow. A string of murders has occurred and Peter Manuel is found guilty of the crimes, but how did he end up there? 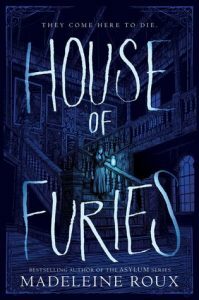 First in a new Gothic horror series from Madeleine Roux, “House of Furies” is scheduled to be released May 30. First in a new Gothic horror series by Roux. Finding herself happily out of the harsh school she’s been attending, 17-year-old Louisa finds employment as a maid at Coldthistle House, a boarding house. While she’s happy for the change, she quickly realizes that something isn’t quite right. This boarding house is a house of judgment, not rest, as Mr. Morningside and his staff are expected to execute their own justice. Louisa begins to fear for one kind young resident, but how can she know who to trust? Summary: Jesse is the daughter of a Hollywood publicist in the 1940s. She attends a prestigious school where she gets to see the biggest star of the time, Ingrid Bergman. As she watches the stunning young actress in real life and on screen she comes to idolize her. 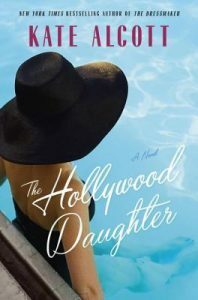 After her mother believes that Jesse is becoming too involved with the Hollywood lifestyle her parents decide to send her to a Catholic school. She believes that her life has come to an end but it really is only the beginning. She learns more about herself and the world around her. Highlights: Ingrid! The description of her is beautiful. I immediately had to place her movies on hold to see more of her work. The author does a wonderful job of making you feel the injustice that was thrown at Ingrid after her scandalous affair that ostracized her from her American fans. 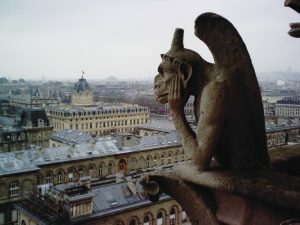 I was so mad at the public, the media and the Catholic Church but at the time it was normal. Lowlights: There were little pieces in the story that seemed to be thrown in as fillers but didn’t seem to have much relevance to the overall story. Her friend seemed like a side story. She seemed like she should be more important but it was more in the background. 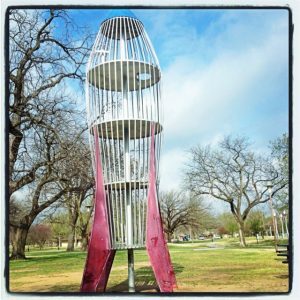 FYI: Place The Bells of St. Mary’s on hold! Bing Crosby and Ingrid Bergman are stunning.